1894 picture of fog signal building. Asst. Keeper PN Christiansen, daughter Anna, and possibly Keeper Allen and wife. 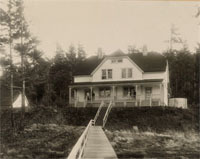 1894 picture of keepers' quarters. Possibly Keeper Allen and wife on left side and Asst. keeper Christiansen, wife Theodine, daughter Anna, and baby son Charles Henry Stuart. 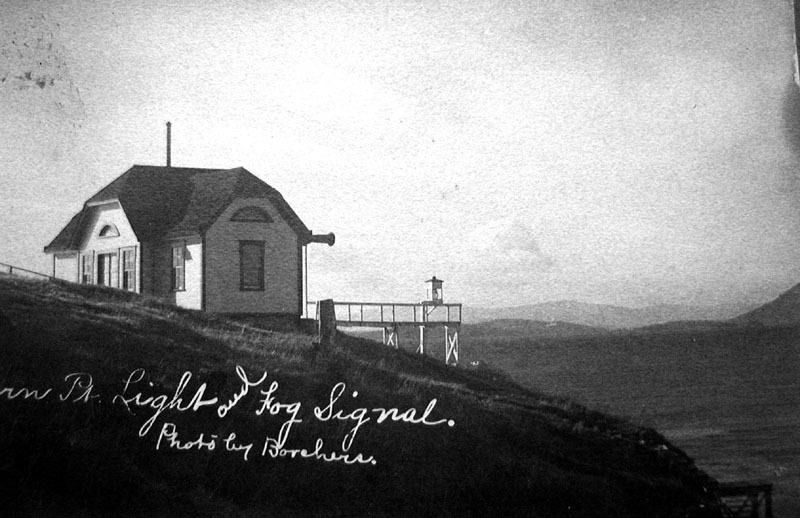 Fog signal building with Daboll Trumpet and light. Early light was oil followed by acetylene and later electricity. 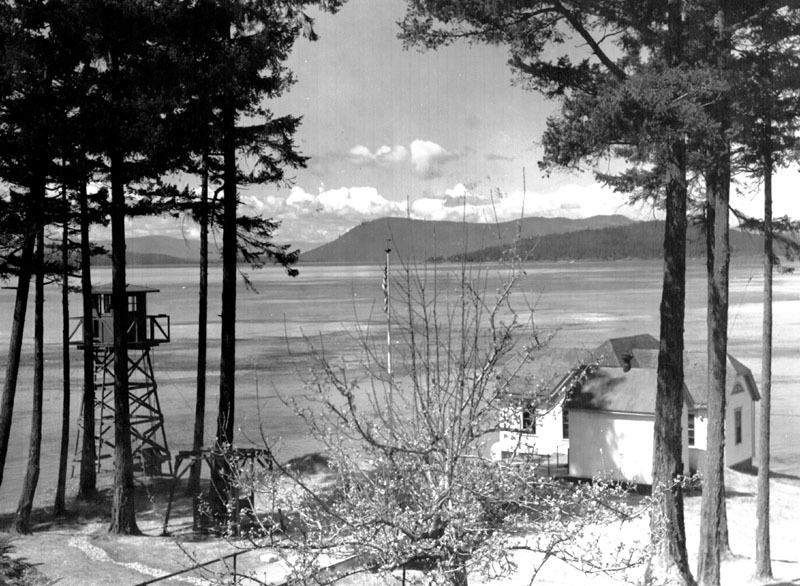 Keepers' quarters at Turn Point. The keeper's family had one side and the assistant keeper's family had the other side. It was later remodeled by the Coast Guard to house three families. 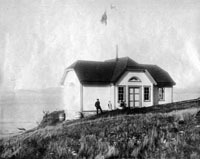 In 1919 a Canadian Curtis HS-2L Patrol Plane landed at Turn Point to deliver mail to Canadian personnel studying tides. 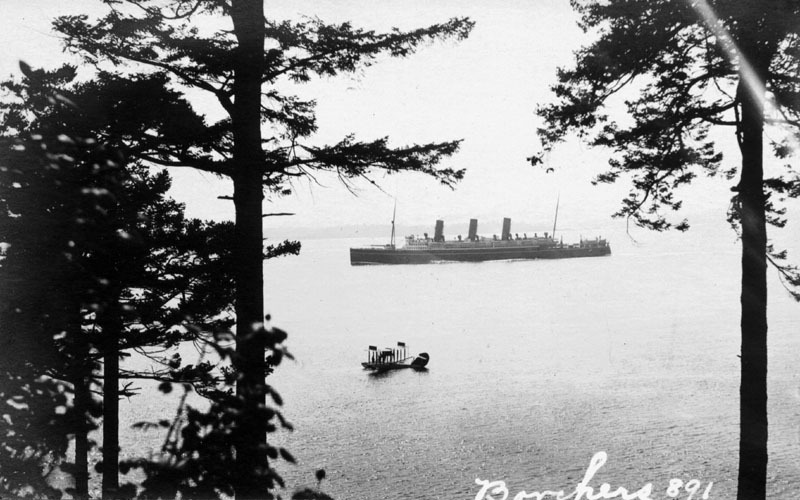 The Empress of Russia liner is in the background. 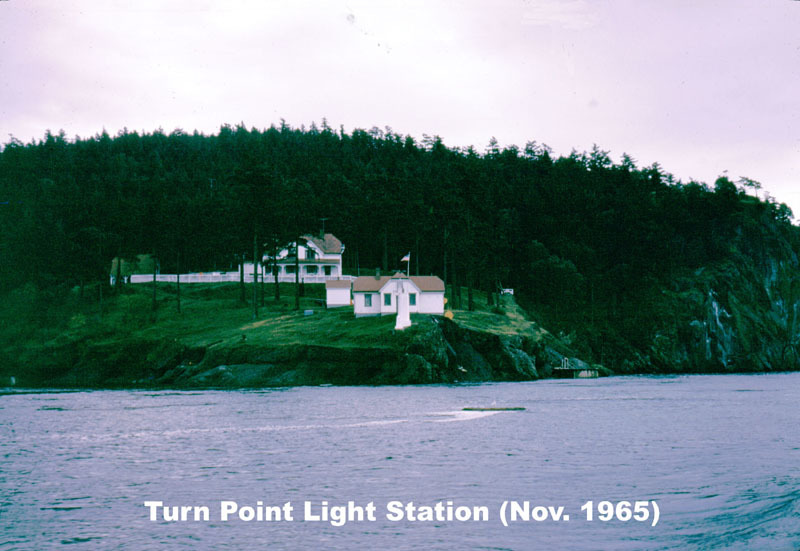 1965 photo of Turn Point showing white picket fences. 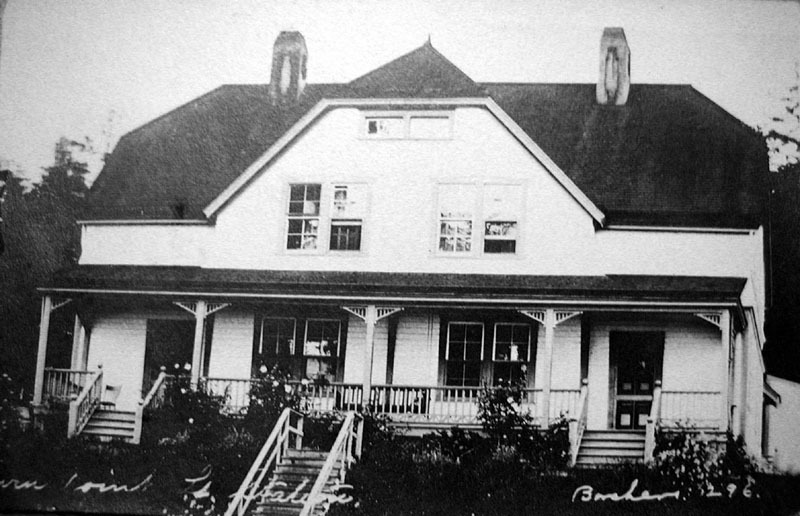 The keepers were required to keep the station spotless as they were subject to inspection at any time.